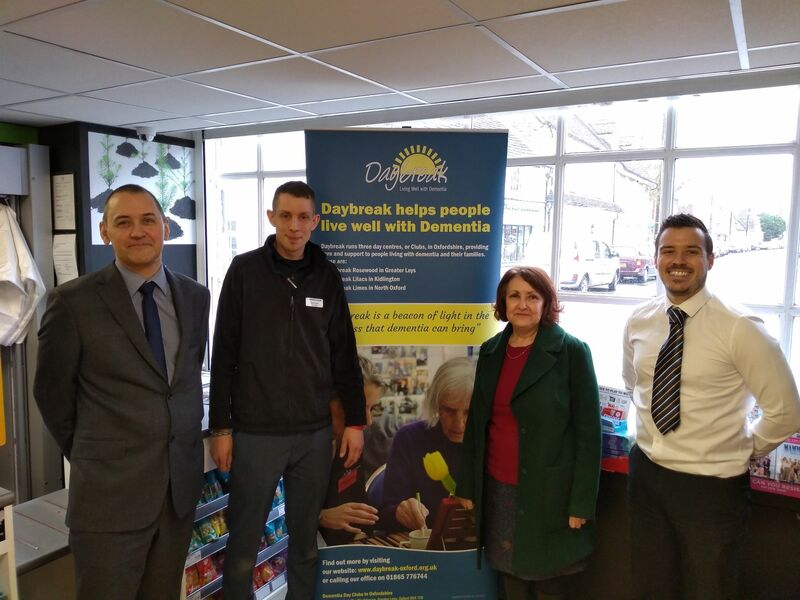 We are pleased to announce that we have secured a new corporate partnership with the Midcounties Co-op Kidlington and West Oxfordshire region, who have chosen Daybreak Oxford as their charity of the year for 2019 and 2020. 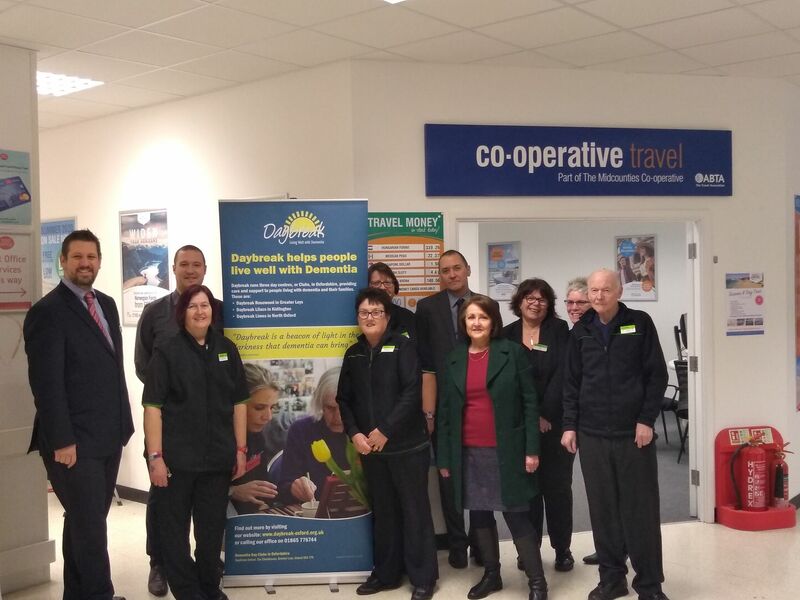 Following successful and optimistic meetings with managers across the region we launched our partnership with the re-opening of the newly refurbished Co-op store in Kidlington. 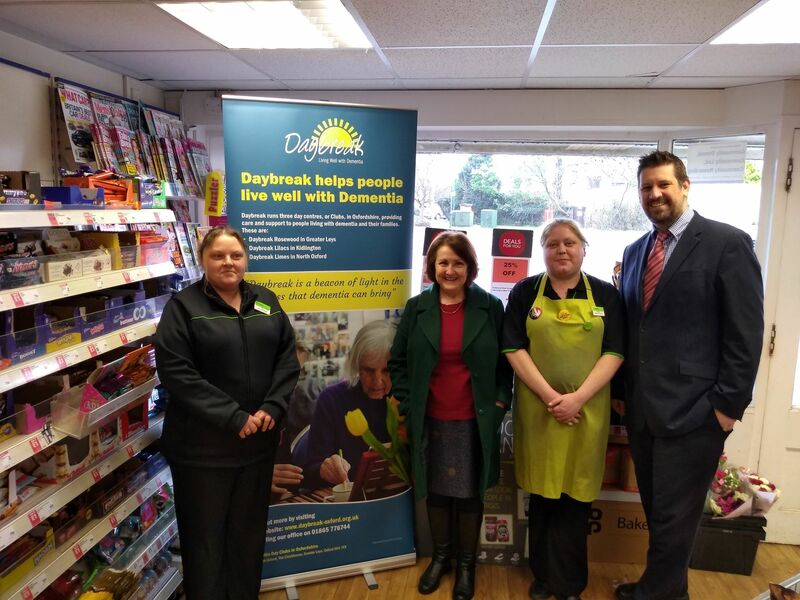 Lindsay Manifold, Community Fundraiser for Daybreak Oxford and Councillor Maurice Billington, Chairman of the Cherwell District Council were honoured with the task of cutting the ribbon on Thursday 11th April. 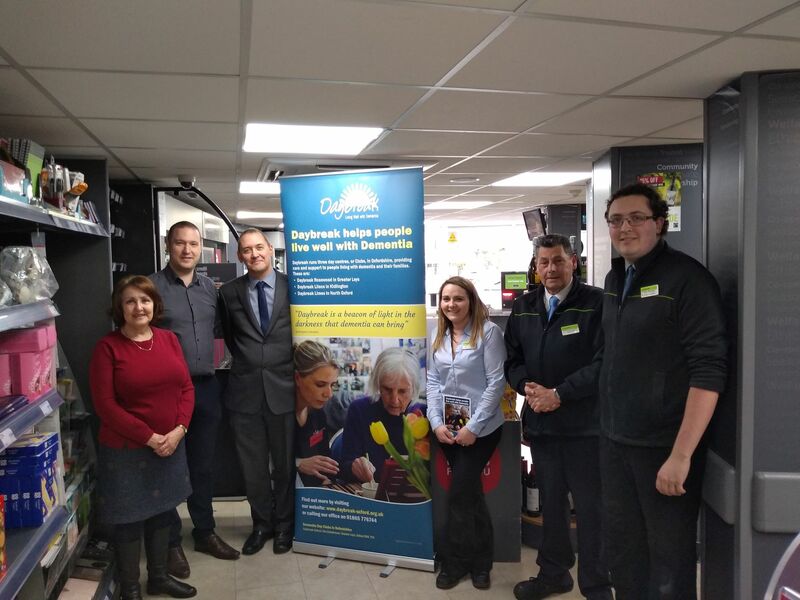 The Midcounties Co-op have a very community centric outlook and are proud stockists of produce from local suppliers, so we are extremely pleased to be able to announce this new partnership. Our friends at the Co-op, led in no small part by Ryan Rushton, the Midcounties Regional Communities Events Manager, have already been terrific supporters of our cause with appearances and sponsorship of our final summer Fun Day Run Day event in 2018. 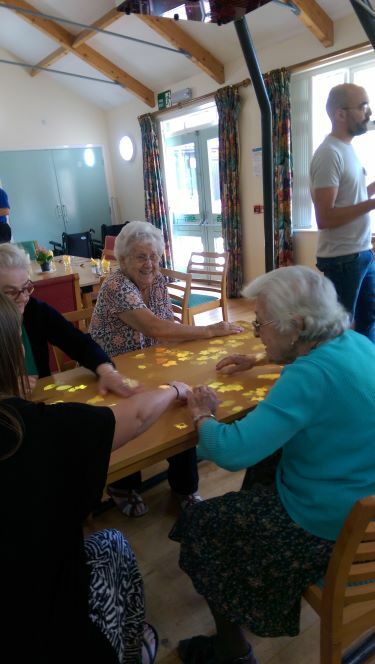 The Co-op have also made a significant donation towards our continuing appeal for a Tovertafel, which projects interactive images onto a table top for club members to move around, such as sweeping leaves or playing with fish, seen below when we had a demonstration of the equipment at our Rosewood Club. 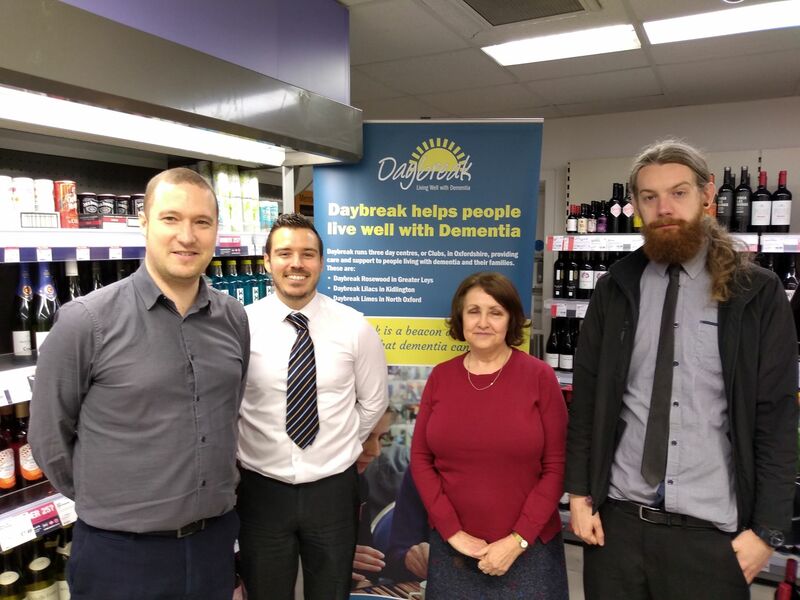 And this year, members of the Co-op are taking part in the Oxford Half Marathon in aid of Daybreak, so we already owe them a huge thank you on behalf of our members and their families. The partnership works both ways. 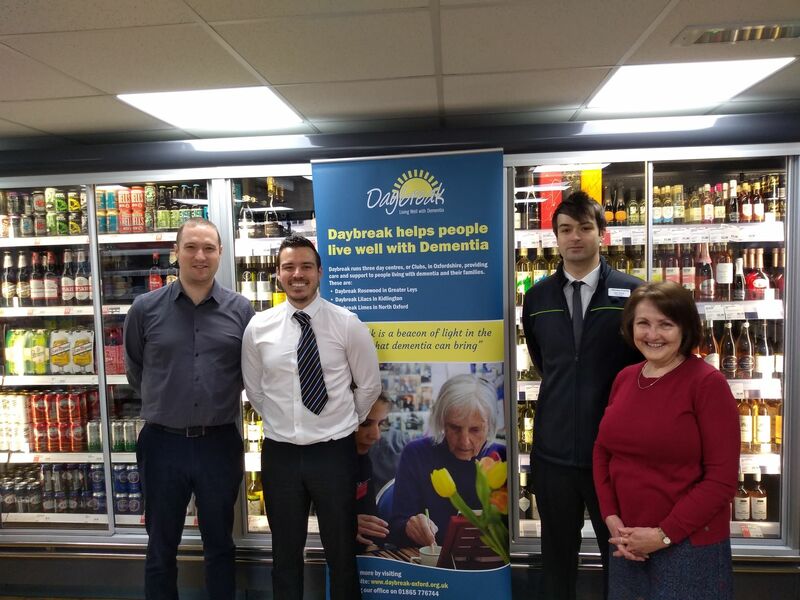 Daybreak are working with the Midcounties Co-op stores and their members to give information on how to provide a dementia friendly experience in their stores. For people living with dementia, a simple task such as popping to the local shop can be confusing and a source of anxiety. 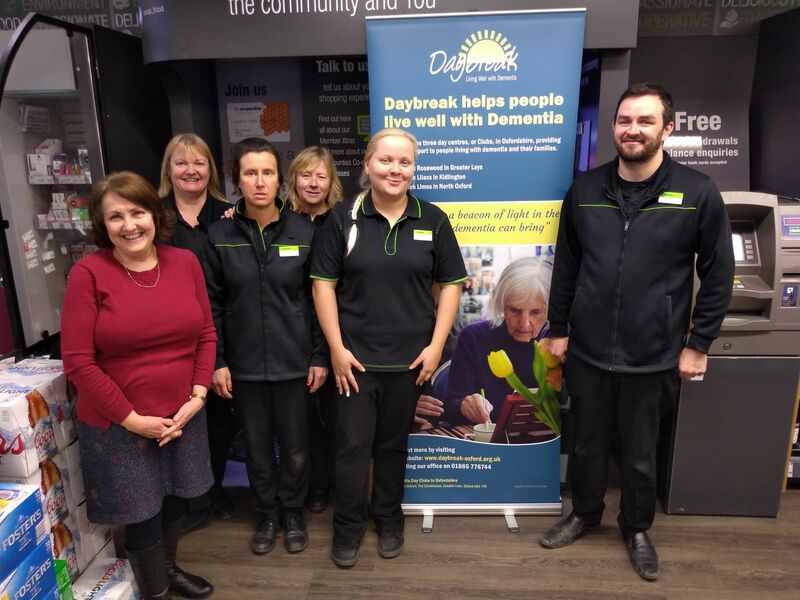 With proper training and a written policy of promises, the Co-op and Daybreak Oxford can make the whole experience far more comfortable and empowering. 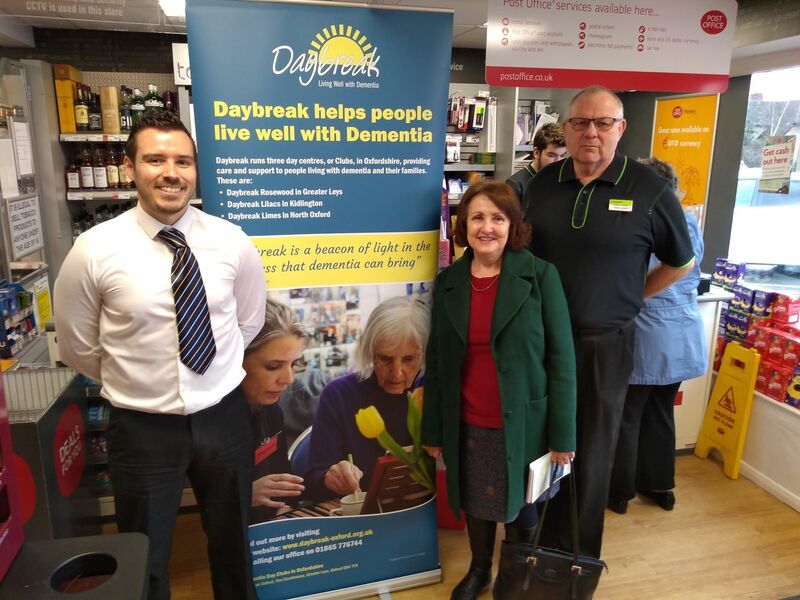 So, next time you visit a Midcounties Co-op store, if you see a Daybreak collecting tin on the counter, please drop your change in and take a small part in making your community more dementia friendly. Thank you.